A stunning wine from Bordeaux, this makes a change for me as of late a lot of my wines have come from New Zealand and Australia. This Sauvignon Blanc has won silver in the wine challenge and wine writer Jancis Robinson reviewed this wine back in July 2013 as a quality wine for under £10. I paid £6.79 for mine and would have happily paid up to the £10 mark. 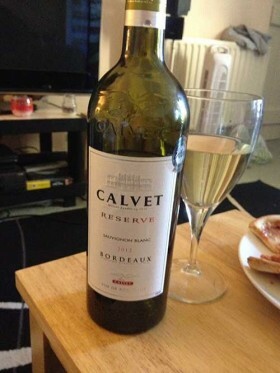 The wine is bright and zesty, with hints of apple and white peach, it is a very smooth wine, it feels very elegant. It very easily transports you to the sunny vineyards of the Bordeaux an all round very nice experience. Beautiful wine for almost any occasion.